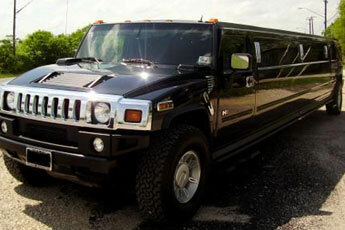 You're a VIP for the Spurs Game... Ride in a Hummer limo! Arriving to a Spurs game at the AT&T center can be a real pain. Clustered parking and tight traffic can be a real headache to you. Instead, order a limo from San Antonio Top Limo, and we can get rid of these head throbbing pains. Get ready to step into one of our luxurious limos, and head off to the Spurs game in stylish fashion. You won’t have to worry about anything except your tickets when heading to the game. You can even bring some friends along for an ever greater time at one of your favorite sports team’s events. ​Get ready San Antonio, because San Antonio Top Limo has some special Spurs game packages for you to head on down to the AT&T arena with your friends. With options ranging from sleek limousines, to big stretched SUV’s, to a party bus, you won’t be short of options for this awesome night. Grab some friends and get ready to experience the Spurs game like never before. You won’t have to worry about driving through the traffic that the game could cause. Leave our professional chauffeur to drive, and they will get you there quick and headache free. And if you have to pick up friends along the way, it’s no problem. Let our drivers do the driving, and you can relax on your way to what could be the craziest game in Spurs history. When you arrive, you also won’t have to worry about finding a parking spot either. Our chauffeur will drive you right up to the front entrance, so you won’t have to worry about walking there. And after the game, they will be waiting right there to pick you up as well. We can accommodate everybody you want to invite in our party bus, so you won’t have to try and set up a parking and exit plan with your friends. No worries about parking, so you can head inside to get to your seats early and get food and drinks before the game starts. And the fun doesn’t have to end after the game either. With your luxurious ride waiting for you, you can head into town to enjoy a late night after party. Grab all your friends and head down to the place of your choosing. You can enjoy all the things you enjoyed on the way to the game as well. Found a new song they played at the game that got you hyped up? Play it again on our superior surround sound system. Want to watch the after game replays or stats to see that awesome play again? Put it onto one of our flat screen TV’s and watch that amazing moment over once again in HD. 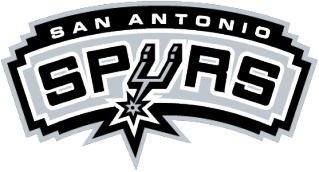 Don’t shy away from calling San Antonio Top Limo to give you the best Spurs game experience there is. We can get you to and from the game, and you won’t have to do a thing. Just give us a call, and let our professional drivers do the driving while you sit back ready to enjoy a great game.